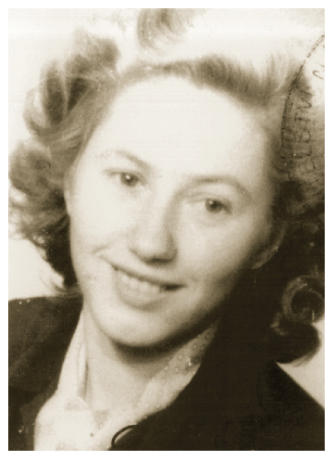 Renée Firestone, who currently lives in Los Angeles, California, USA, was taken away as a 20-year-old from her home in Hungary, on April 29, 1944, and was liberated on May 8, 1945. She was confined in the Uzhorod ghetto, Auschwitz-Birkenau concentration camp, and Liebau female forced labor camp. 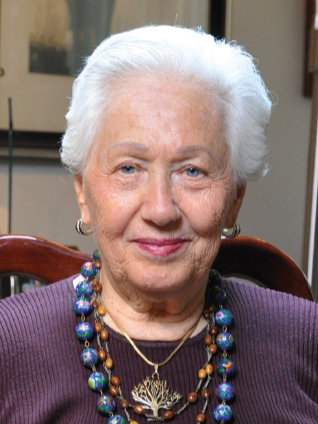 She was subjected to Dr. Josef Mengele’s dreaded selections on a daily basis and encountered him face to face on several occasions. Her mother was gassed; her sister, Klara, was shot after having been the subject of medical experiments, and her father died shortly after he was liberated. Only her brother, Frank, survived.